Better late than never hey?! A trip to America is not complete without a trip to the one store that the UK is severely deprived of....and of course we are talking about Sephora! In fact, it seems that many countries are blessed with these beauty 'treasure troves' except for (not so) Great Britain!! Jealous? Me? Nooooo! It does make travelling abroad a lot more exciting though! I have a little list on my phone that I add to when I spot a must-have product on a blog or a youtube video, titled 'Sephora'. 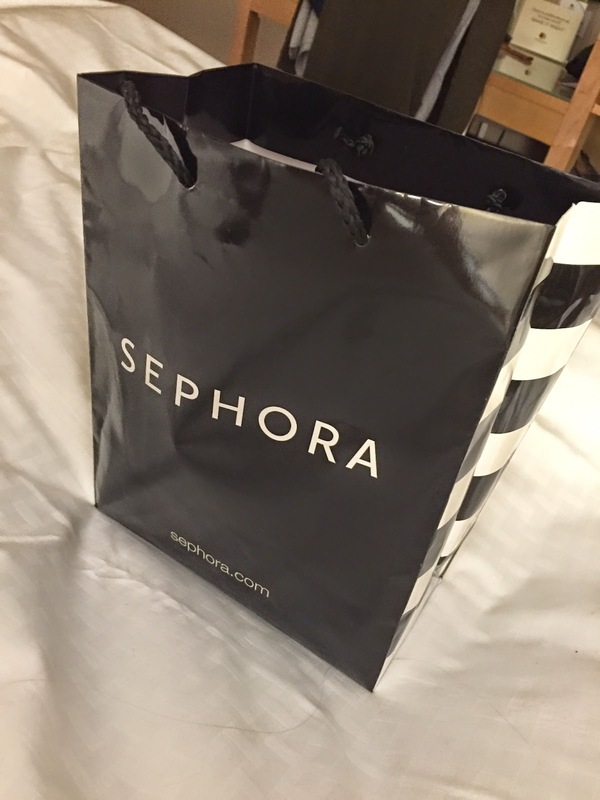 Let's just say that being almost a year since I last went to Sephora in Dubai, the list was pretty lengthy! Since it's been a fair few weeks since I bought these products I've also had chance to use them all, so think of this as a little haul 'show and tell' type post, not too detailed, just a quick rundown on what I think is great and perhaps not so great! Sephora Formula X Nail Varnishes - as you may see, these feature quite heavily, nice little selection here too although admittedly not the greatest pic so you can't really see the colours. I want to give my views on the formula more than anything though, because these are some impressive nail varnishes. They go on really opaque (you could probably get away with one coat with some colours if you were in a rush) and look great on, they're long wearing and don't chip. Very impressed. I shall be picking up some more next time. I stocked up on my winter shades, so some nice dark reds and berries, a khaki colour and some greys. Winter nails sorted! Laura Mercier Silk Creme Foundation - a repurchase for me. I love. Could of bought this in the UK but slightly cheaper in the US. Great formulation although the shade I got is perhaps a tad too light for me, but I'm mixing it with my Chanel Velvet Perfection Lumiere B30 at the moment to darken it up a bit. Hourglass Blush (Mood Exposure) - I already own one of these in 'Luminous Finish' and I adore it. This is also another 'love at first swipe' blush, it looks lovely paired with dark berry or red lips. I've used nothing else on my cheeks since buying it! Laura Mercier Loose Setting Powder - meh, I dislike this, too chalky and doesn't leave any even finish on my face. Luckily, it's only a little pot from 'the aisle of doom'! Make Up For Ever - Smoky Lash Mascara - I bought this because Laura from Buynow/Bloglater had been banging on about how great it is... and she wasn't wrong! This mascara is quickly becoming my favourite. It creates über thick voluminous lashes in one swipe. Lasting power is great too. It also seems to get better as it dries up a little. If you haven't tried this and are on the fence about it. Get it. Tate Lights, Camera, Lashes Mascara - I wanted the one in the gold tube...do you think they had it in stock anywhere in New York??? No. So I settled for a little mini version to try of this mascara instead. Pleasantly surprised, very different to the MUFE Smoky Lash Mascara. Much more separating and creates a more 'fluttery' effect. Very good though. Boscia Cleansing Oil-gel - first things first, this smells amazing. 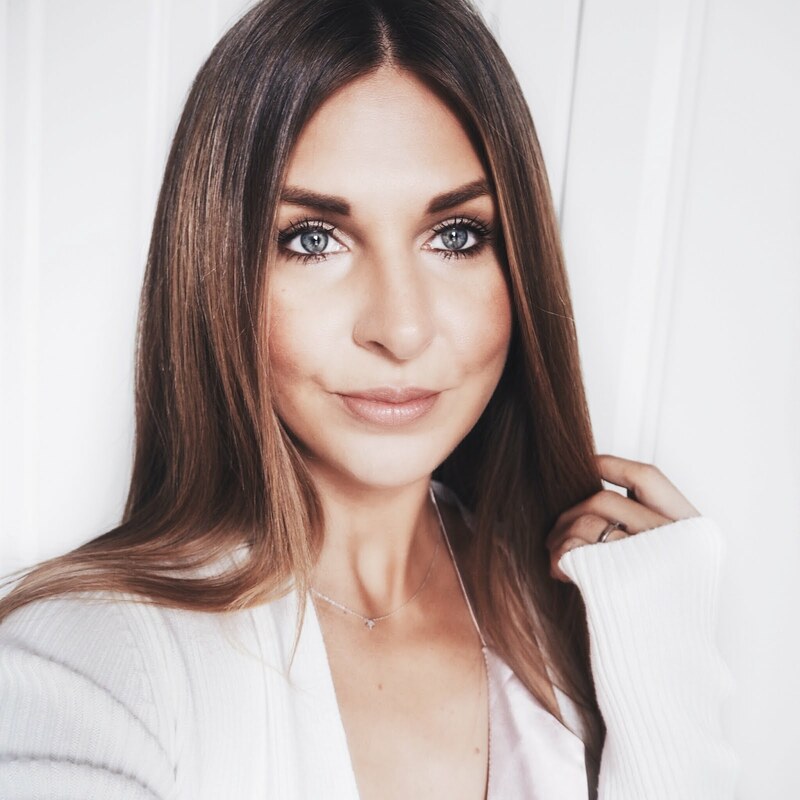 I was a little unsure at first but had heard Amelia from Liana Beauty talk about how good it was, and she's always pretty right about skincare. I love this stuff, it breaks down make up with ease and leaves the skin beautifully soft and fresh afterwards. Definitely will repurchase. 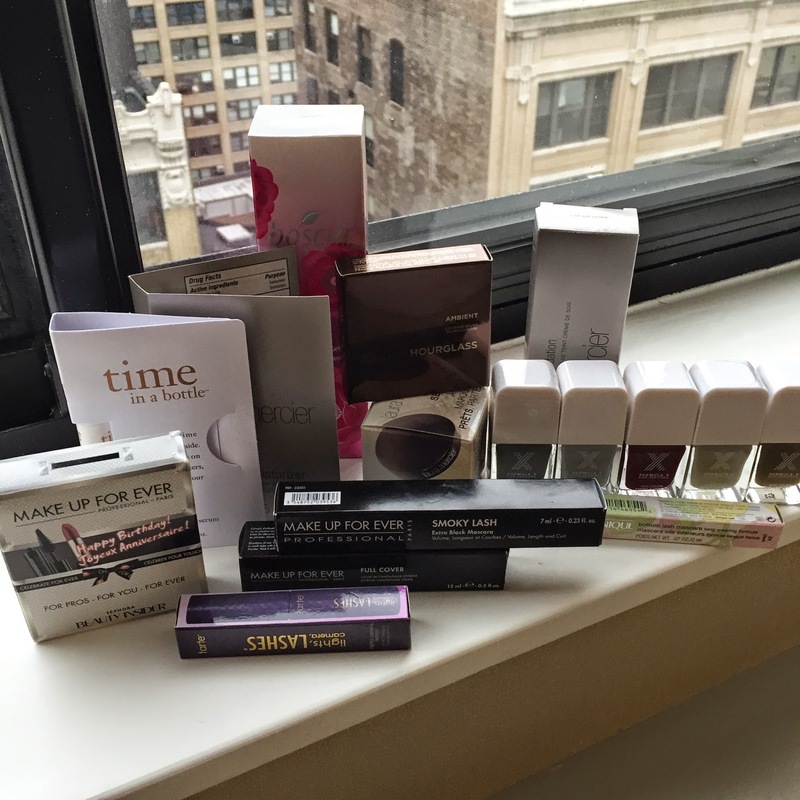 Gifts Galore - I also manage to bag a few Beauty Insider freebies for points and also my annual Birthday gift. My favourite was the Make Up For Ever set which included a mascara and mini lipstick. The mascara was the Smoky Extravagant Mascara - which is one up from the Smoky Lash mascara, wow, seriously impressed with this!! The full size version is already on my next list!! So I think I was pretty well behaved don't you think? Not to excessive, however this was the only bit of Sephora shopping I did. I may have also hit the American equivalent of Boots and Superdrug and also made a last minute pitstop to Ulta...products revealed soon! As my work is calming down I finally have time to start reading blogs again and my oh my what a lovely haul you had! Makes me want to march to Sephora right now and pick up a few more nail polishes! Hi Lis! long time I know...:( I hope you're ok!